Electrical CAD has been used in certain industries for many years. Some industries have always required it for their precision designs of products. However, there is a common challenge affecting many companies’ ability to compete effectively within their industries today, that is using the wrong electrical CAD software. 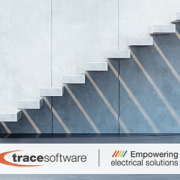 How can Trace Software International help you to be an industry leader? 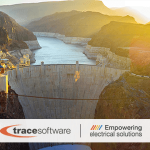 With elecworks™ , our world renown electrical CAD/CAE software – has been specially designed for electrical and automation projects no matter what the size. Our electrical CAD software comes with many additional modules that can be further used to integrate the process design with other software and departments within companies. With our extensive experience and unique market knowledge along with our continuous investments in R&D, continually drive us forward with innovation and has resulted in many industries becoming more aware of the capabilities of our solutions and how they can fit into their businesses. Using our software reduces costly errors in the design process with the quick selection of manufacturers’ references. By using simulation and measurement capabilities to calculate the amount of material used in a product before it is constructed – keeps costs down. Nowadays nothing works in isolation, this being true in our increasingly connected world. It’s no surprise that, in an engineering environment, one of the ways the effectiveness of an electrical CAD tool is measured by the extent it can interact with other processes and systems. For example, when you use a sophisticated electrical CAD tool, but find you cannot integrate this information to other parts of your product development process, this limits the effectiveness of the system and the ability to meet deadlines. 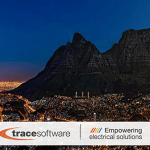 By taking advantage of the many capabilities of elecworks™ electrical CAD offers, more industries are finding ways of using our solutions as part of their product design processes. By doing so they are getting ahead of their competitors as well as making their own processes more efficient and less time constrained. 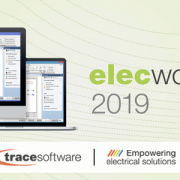 elecworks™ allows you to use a different kind of workflows according to your engineering needs and further allows the ability for multiple users to concurrently access the same project. This feature ensures more efficiency during the working cycle thus reducing runtimes. The first step is to consider your current situation. Do you already have an electrical CAD software that is outdated or underperforming? Or are you a startup business looking to invest in such a tool for the first time? The answer to this question will determine how you start your search. Which areas of the software, specifically, are resulting in a slow pace of work? Is the current system awkward and expensive when it comes to running on multiple computers? Is the current system too big a cost? 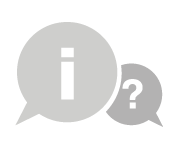 What prompted your decision to reinvest in new CAD software? Do the providers of your current software offer reliable support? Do you want to be productive in a short period of time? Do you have a budget specifically for electrical CAD software or are funds tight? Do you have one or more people that will need to access the CAD software? What computer hardware do you have to hand? Are you going to be designing products that have both electrical and mechanical components? 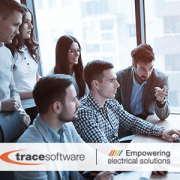 Boost your productivity and optimize your business using our solutions – That’s why at Trace Software International we have the answers to your requirements. It is easy to start and quickly benefit from using our software solutions compared with our competitors such as Eplan. Our solutions are flexible, innovative and precise that enable faster project development while applying highest quality standards. Fortunately, with our software solutions, and for a variety of industries, it means you won’t have to break the bank to acquire it. 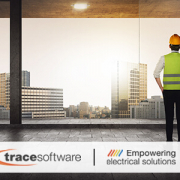 Find out how we can help you build a productive future for your business on our website page and for more details on elecworks™ along with the rest our globally used products. 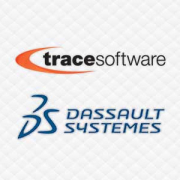 https://www.trace-software.com/wp-content/uploads/2018/05/how-can-Trace-Software-International-help-you-to-be-an-industry-leader.png 300 500 Rossana https://www.trace-software.com/wp-content/uploads/2015/04/logo-home-ts.png Rossana2018-05-25 11:18:102018-05-25 11:22:35How can Trace Software International make you an industry leader?